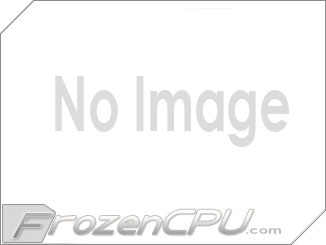 This item is a compression fitting for use with water cooling products and comes with a matte black finish. The 1/4" British standard thread with rubber o-ring allows it to screw securely into water cooling components with a tight leak proof seal. The screw connection is designed for use with tubing that has an inside diameter of 1/2" and an outside diameter of 3/4". I think they sent me the wrong fittings. 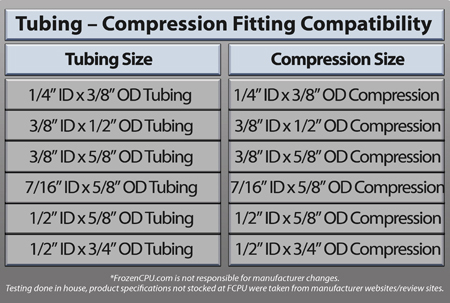 What I mean is, I got the half inch 3/4 tubing but, they send like, 5/8 id and 7/8 outer... Im not sure but I cant fully tighten my compression fittings (these ones.) but anywho, be careful when you tighten these, they hurt if you put too much force INTO tightening them for hand tightening. My fingers hurt for a week because of the textured feeling. However, these fittings are amazing when it comes to using non-angled fittings. I''m I got these ones anyways. 10/10, would use in a future build. I used several of these in my system and all of them are great. No leaks with any of them. Keep in mind with compression fittings to put something between the channel locks and the fitting to avoid removing the finish (if you even care). Start to hurt your fingers after a while of loosening and tightening but was worth it! Great look and am buying more now! TIP** with primochill LRT 1/2i 3/4o to get a flush fit like the picture you will need to soften up the ends of the tube in boiling water, once soft put it on the fitting and tighten it all the way, then let it cool. Well worth the price! Compression fittings are the way to go! I have a cpu loop that has both compression fittings and barbs in order to save a little money. Dumb mistake, the barbs are a real pain. I''ve had to adjust them several times until they stop leaking. If you don''t cut the tubbing totally flat they will not seal properly. There is no way I would put these in my Case. I would always be worried about leaking. These fittings, you screw them down and you''re done. No leaks at all. I will only be using these fittings in my loops. Totally worth the extra cash. Specifically, these fittings are heavy and seal real well. I''ve been fooling with my loop, finding the best layout and you can tell that some of the black paint has come off the threads. However, this does not change the over all look because it you can''t see it when its put together. They came with green (wtf?) washers as shown in the pictures so bought a package of blue ones and switched them out. You would think they would come with a default back. Overall, love them.